I use float glass in most of my fused glass. 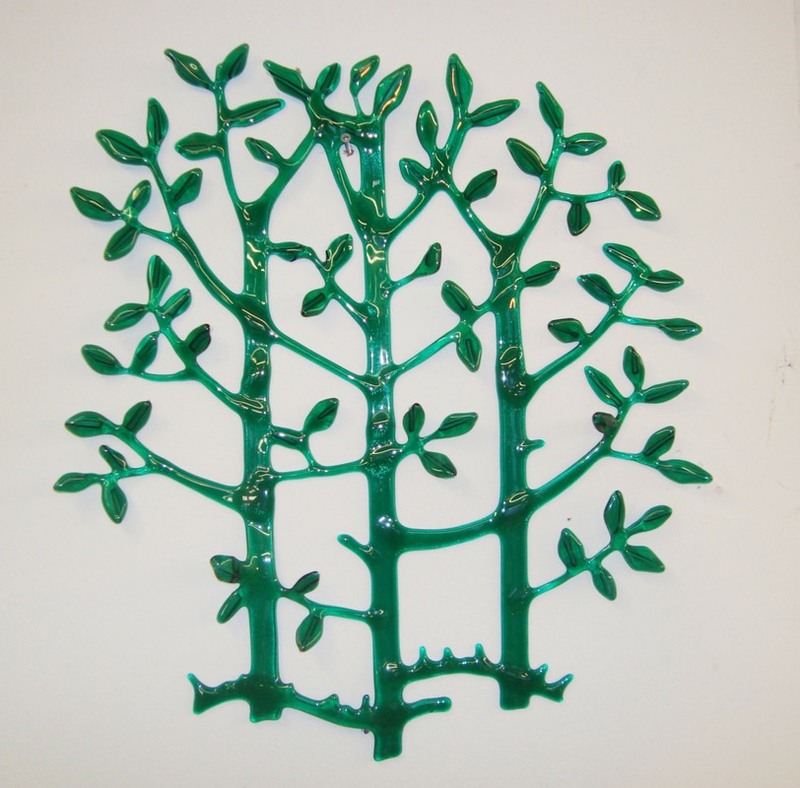 I make pictures for windows and wall plaques and standing window pieces. Some are slumped into moulds to make plates and bowls and others are free fall slumped into specially made supports. 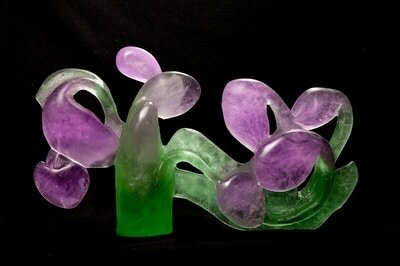 My larger sculptural work are cast into moulds made from original models. I like the way that these pieces have an interior world and can look so different according to the light. 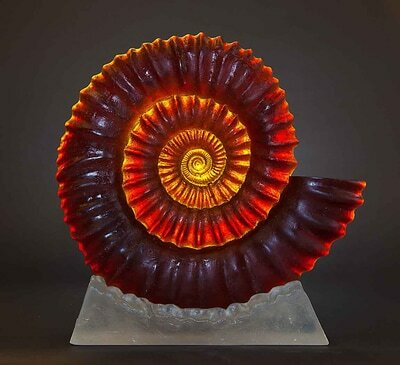 I have a large ammonite on the windowsill at the moment and I love the way it glows when the sun comes round in the afternoon. I was a very mature student when I decided to go back to college. 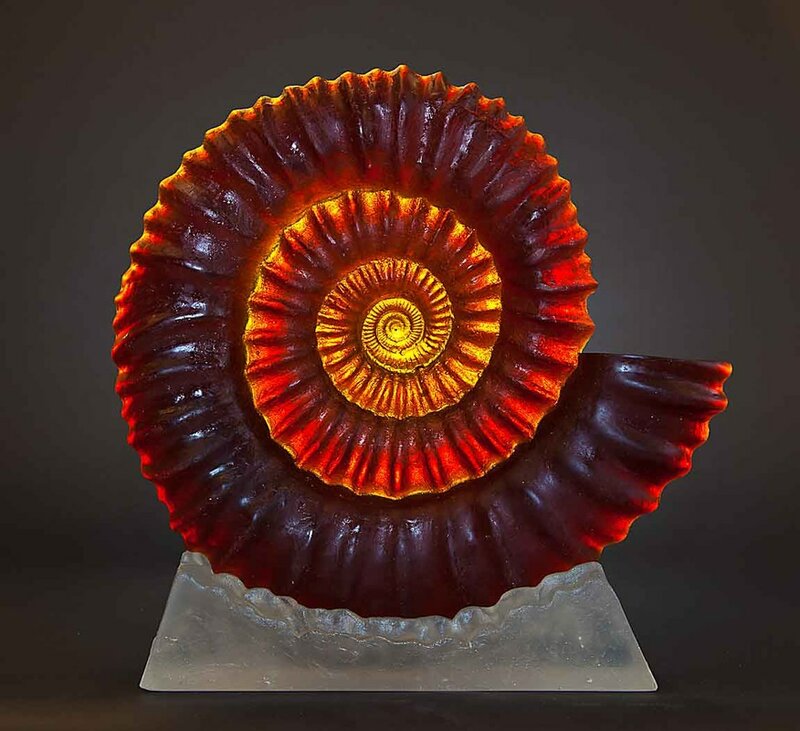 I left with a degree in glass in 1996 and with the help of Southern Arts I set up my own workshop in North Buckinghamshire. 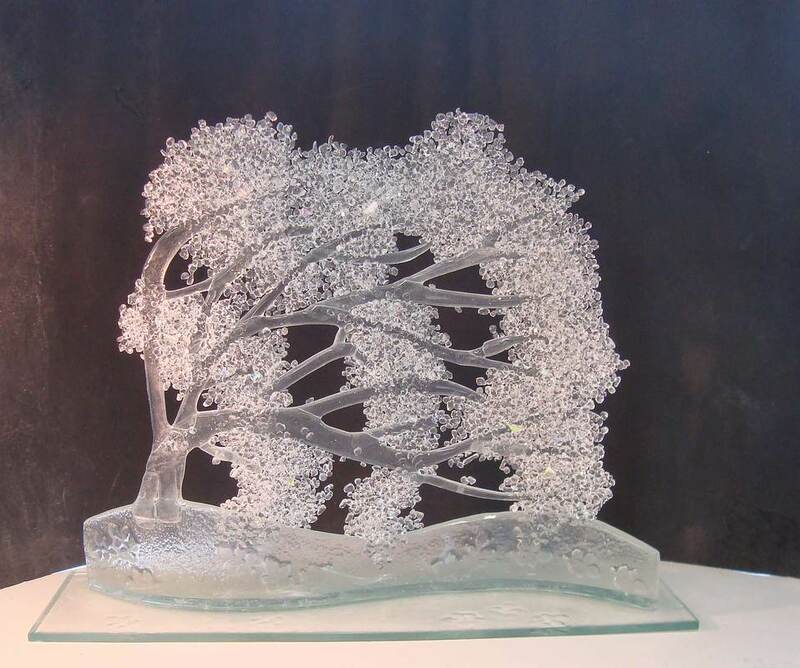 I am a member of CGS, a full member of the Oxford Craft Guild, the bucks Visual Arts Society and the Bucks Art Society. My studio is open in June every year as part of the Bucks Open Studios event and visitors can 'have-a-go'. 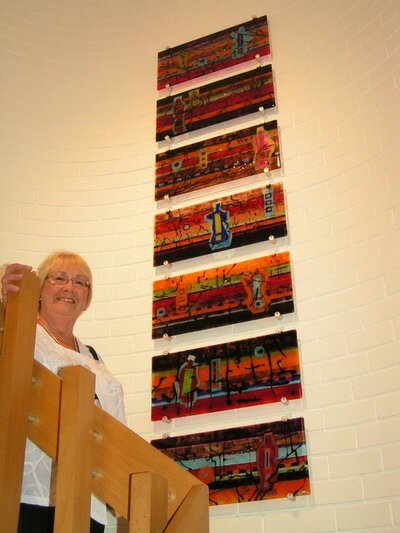 I regularly have taster workshops and regular courses in fused glass. I enjoy meeting people and like commissions. I have recently made a cast glass fountain for a client in Leicester. I like my pieces to have colour, light and to tell a story. I draw on my Celtic background. my love of the sea and nature, for subjects of inspiration.